If you are following this blog because you have a lot of old photos that you want to be able readily access and share, this is your week. Why? Because this week we start digging into the nuts and bolts, starting with scanning physical photos. You can send your photos to a scanning service (which we will cover in a later blog post), but you probably want keep your oldest photos in your own hands. This means that you have to have a scanner to use. Here’s the good news: you may already have one, if you have a multi-function home printer. If you don’t have a multi-function print device, there’s still good news: multi-function printers and flatbed scanners are inexpensive. Did I just use terms you are not familiar with? Let’s fix that right now. 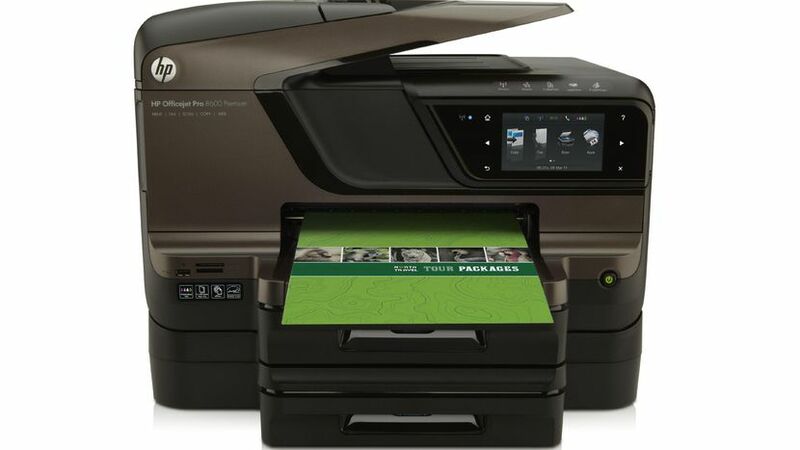 That is a device that will allow you to print, scan, copy, and fax. You may also have heard them called “All-In-One” devices. They are, by far, the most common type of print devices these days, for both home and office. Here’s a picture of one of the most common brands: the HP 8600. If you already have one of these machines at home, you have a device you can use for scanning your physical photos. What is a flatbed scanner? For scanning photos, make sure that you are able to scan at 600 dots per inch (dpi) which should not be an issue for any all-in-one or flatbed scanner. Unless you have some very specific requirements that would necessitate a high-end device, you should be able to buy a device for under $200. If you already have an all-in-one device, is there any benefit to having a dedicated scanner? I would say that yes, there is. If you have a lot of old photos, setting up a ‘scanning station’ could help you stay on track with a task that can take a long, long time. If you can set up a dedicated area scanning photos, you can then sit down and scan a few photos at a time. If you can divide this task up into bite size time chunks, you are much more likely to complete it. Of course, if you can adapt your all-in-one device into a scanning station, then the problem is solved without having to get a separate device. If you already have a multi-functional device or a flatbed scanner, connect your laptop or desktop computer to it (either with a cable or over wifi), and make sure that your computer can ‘see’ and ‘talk’ to the device. Next week I will address the software that you use to scan an image and save it as .jpeg on your computer. If you do not have one of these two types of devices, your next step is to decide if you are going to buy one, and if yes, which one. Let me conclude this week’s post with some motivation, because you will need it. Just getting set up for this process is going to take money and time. But it is so worth it! In doing this, you will not only have the images ready to hand (to view and to share), you will also unlock the narrative of your family. Remember the adage “a picture tells a thousand words”? Never is this more true than with old photos. I have heard more stories about my family from my parents, siblings, aunts, uncles and cousins than I could have ever imagined prior to starting this endeavor. Here are my two grandfathers (paternal on the left and maternal on the right). They didn’t have much in common in external circumstances. Paul Barnes was from Florida and grew up on the small family farm. 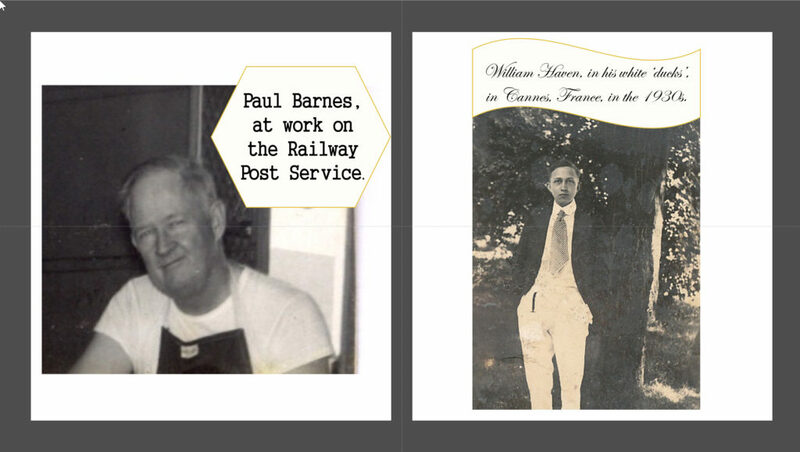 He became a railway postman, at which he worked till he passed away in 1967, from the emphysema he incurred from the railway smoke. William Haven was from Cincinnati, Ohio, and was born into a wealthy family with a flourishing iron-casting business. He passed away young, in 1947. These two men lived very different lives, but somehow two of their children found enough in common to get married in 1960 and remain married to this day. What’s interesting to me is how these very different background and beliefs resonate within me today. Remind me to include a post this year about my interest in geneology! But that’s for another day. I think you have some work to do before next week. See you then.